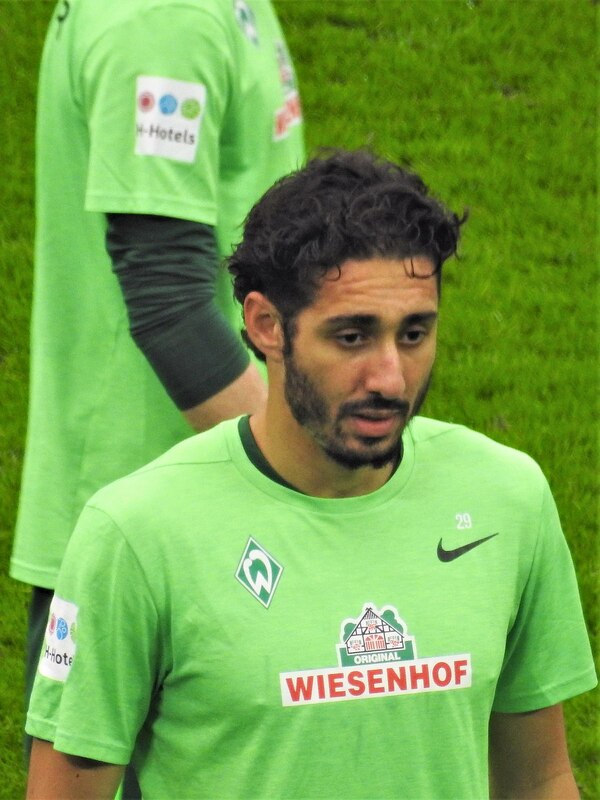 Werder Bremen’s Ishak Belfodil shows his class in Augsburg. Some new players take ages to integrate into a new team, or some never make an impact at all in the team. Recently, Ishak Belfodil was that kind of player. Until he proved his class against Augsburg in Matchday 27. He was dynamic on the pitch and clearly the man of the match with two goals and one assist. It is still early days in the Bundesliga but Werder Bremen have a problem. They do not have the strikers to convert chances in to goals. The dearth of quality strikers might be Bremen’s undoing this season. Gone are the days, when they had Bundesliga legends like Ailton or Pizzaro. Bild reported that Bremen is interested in Paul Onuachu’s services. He is a 23 year old Nigerian striker playing for Danish team FC Midtjylland. Onuachu’s perfomance so far in the Danish league is promising. He has played a total of 120 games and scored 42 times for his club. Despite Bremen’s interest, the sport director of FC Midtjylland, Claus Steinlein told the Danish paper, Ekstrabladet,”Paul would not be sold in this transfer period.” He also said there is no official offer from Bremen. It has been speculated in German papers that FC Midtjylland wants at least 10 million Euro for Onuachu before talks could begin. The main snag is the cash crunch that Bremen is facing. Onuachu is an option for their desolate attack. 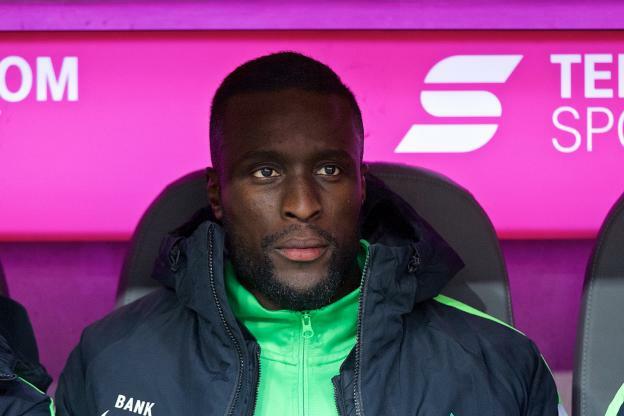 Werder Bremen’s Sambou Yatabaré,is on the verge of leaving the club. He was degraded to the reserve team last season.Yatabaré’s future is not with Bremen because he is surplus to requirements. Bremen is waiting for him to decide and if the offer suite the club, then he can go. 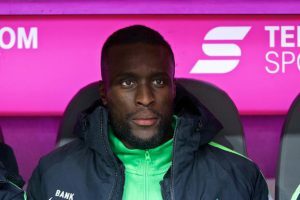 Yatabaré came to Bremen from Olympiakos Piräus for 2,5 million Euro in January 2016 and he never had a chance to proove his worth. Mali international midfielder Sambou Yatabare and Senegal defender Fallou Diagne who have been banished to the reserves since October will remain there until the Winter. The players have been informed about their degradation and the club expects them to act like professionals. Signed by two different managers, both Yatabare and Diagne moved to Weser-Stadion this year. Yatabare, who has 26 caps and three goals for Mali, was signed from Greek club Olympiakos on a deal until June 2019. Diagne, 27, joined the club on a three-year deal in the summer from French Ligue 1 outfit Rennes. Papy Djilobodji who is on loan to Werder Bremen is an emotional player, who gives his all on the pitch. Unfortunately, he seem to have lost control of his emotions last Saturday in the Bundesliga match between Werder and Mainz. The scene in question, was his clash on the field with Pablo De Blasis, in a duell.Afterwards, he ran a finger through his throat to indicate a slit-throat gesture. All captured by the cameras on the pitch. The referee did not see it. Initially, the DFB panel investigated the case and gave Djilobodji a three match ban. However Werder Bremen appealed and a solitary DFB judge reduced the punishment to two games ban and a fine of €15.000. I followed the comments of Werder Bremen’s coach,Viktor Skripnik, who said that Africans are emotional people with temperament in his bid to defend Djilobodji.Equally strange was the statement by Bremen’s executive director,Thomas Eichin, who said,it is a custom in Africa. I believe, it has nothing to do with Africa. It is just a lame excuse to defend the indefensible. Cultural relativism does not apply here. Incidentally, Djilobodji, is not the first person to do the slit throat gesture.Deniz Naki, a German, who was playing for St.Pauli in 2009 did something similar. Naki, did the slit throat gesture against Hansa Rostock fans and he was sentenced to three match ban by the DFB panel for unsportsmanlike conduct. The punishment of the Senegalese player comes at an important time that Werder is fighting against relegation. Djilobodji will miss three games.Because he has already accumulated 5 yellow cards in previous matches, which leads to a ban.